Many of us have fallen into a dark place. Perhaps you are at a low point right now. Peter Gladwin understands. He meets many who have reached the point of despair and who want to hide: from others, from God, from themselves. Because of his own harsh experiences and struggles Peter finds it easy to empathize, and has discovered that the message of hope he offers strikes a powerful chord. Peter's ministry, particularly in prisons, has taken him into dark places. His own traumatic early experiences, and his subsequent and more recent struggles to walk the Christian path, have helped him to appreciate, and to explain, how God's grace can change your life. This book is full of vivid stories of transformation. Peter Gladwin is a former probation officer and a regular contributor to the radio station UCB. He is author of 'Out of the Ashes'. Anna Thayer is a teacher of English, who also writes and lectures internationally on the works of J.R.R. Tolkien and C.S. Lewis. 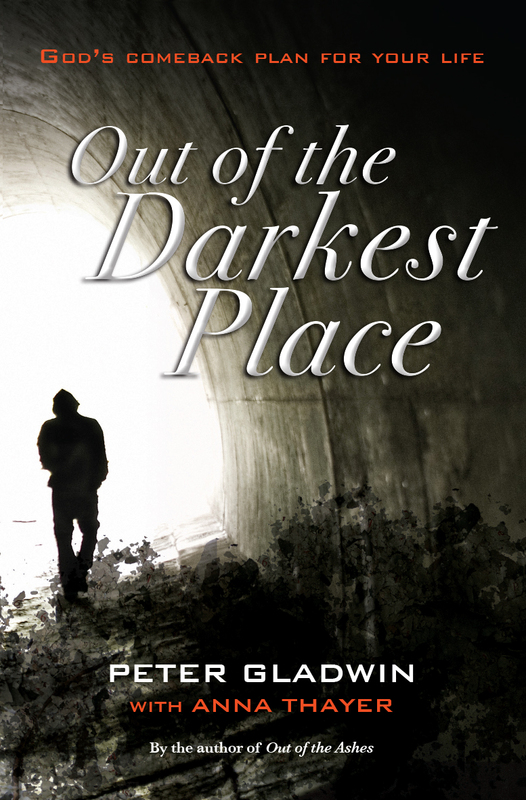 Out of the Darkest Place by Peter Gladwin was published by Lion Hudson Plc in August 2015 and is our 16494th best seller. The ISBN for Out of the Darkest Place is 9780857215642. Be the first to review Out of the Darkest Place! Got a question? No problem! Just click here to ask us about Out of the Darkest Place.